“Good Design Award® Winner” and “Good Design Award® Gold“. Thus, a year of collaboration with the Chinese company CHEER is rewarded. 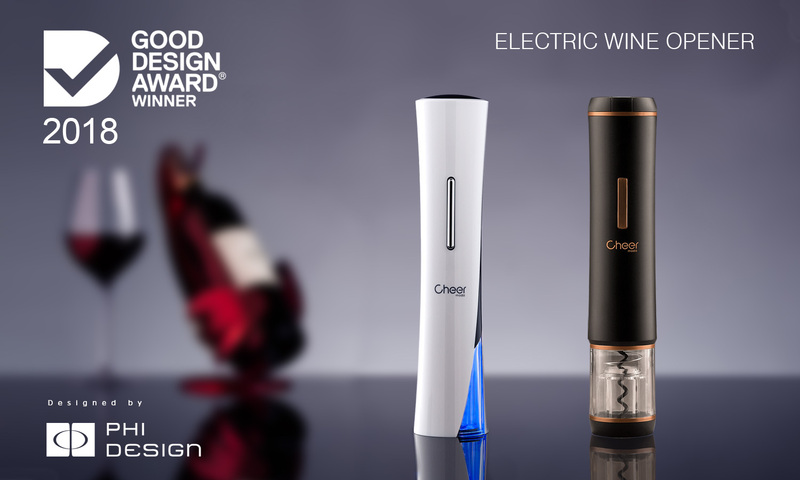 The GOOD DESIGN AUSTRALIA Jury has appreciated once again the creativity of PHI DESIGN thanks to elegant lines and ergonomy of our Electric Wine Openers.